Read on to find out which driveway alarms we recommend, how they work, and how to incorporate one of these devices into your overall home security plan. 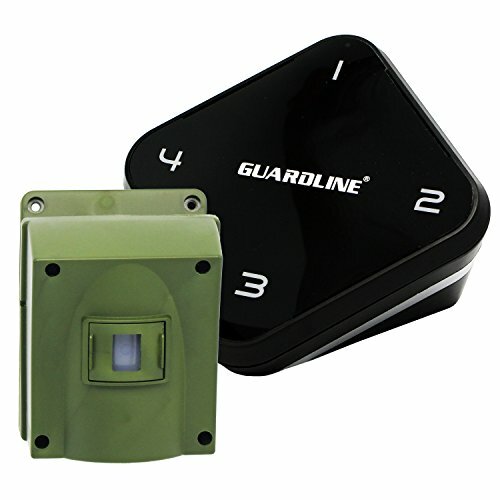 The Guardline is the most versatile and customizable driveway alarm on this list. The kit comes with a receiver and one sensor, but you can add up to 16 sensors and unlimited receivers so you can always know when someone’s entering your property from any direction. Guardline also provides over 30 alert chimes to choose from, so you’re not stuck with an obnoxious factory-set chime. This is a customer favorite on Amazon, with overwhelmingly positive reviews. The biggest causes of failure with this system seem to be when the signal has to pass through metal siding to get to the receiver or when the sensor is in direct sunlight. If you want to put the sensor in a sunny spot, consider building some sort of protective shade. It’s also worth noting that when triggered, the sensor emits a small red LED light. If you don’t want people to know they’re being detected, a small piece of electrical tape should be sufficient to cover the light. The Guardline kit is more expensive than the other passive infrared kits on this list, but its lifetime warranty, performance, versatility, and flexibility make it worth the extra investment. 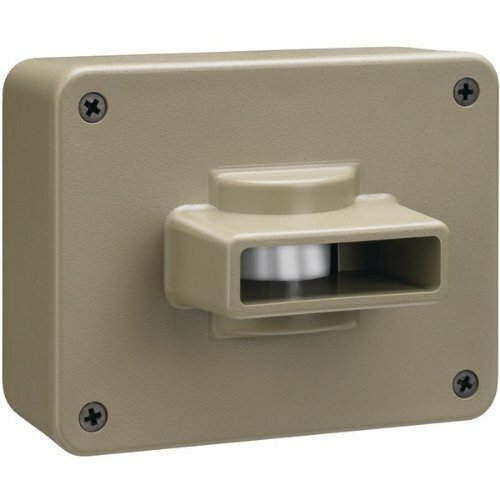 Chamberlain’s outdoor motion detector is a great low-cost option for securing your driveway. Priced under $60, it will let you know with high accuracy when a car, human, or animal has passed within 30 feet in front of the sensor. It’s easy to install and has a half-mile transmission range between the sensor and the receiver, so it’s a good option for larger properties. There is some trade-off with this lower cost, though. The alarm tone is not adjustable like with the Guardline, so you’re stuck with its high-pitched alert sound, which may bother dogs or even be inaudible to folks with hearing loss. While some Amazon customers complain about inaccurate car detection, one reviewer recommends mounting the sensor one foot off the ground (as opposed to Chamberlain’s recommended three feet) and pointing it toward where a car’s tailpipe would enter the driveway. This is because while engine height and placement may vary, most tailpipes will be within the detection range of the sensor at this position. Many customers mention that this Rodann kit is more reliable in detecting the presence of people and large animals than detecting cars. This makes it a good option for folks who are more concerned with knowing when pedestrians are coming up their drive or when their dogs leave the yard than with cars entering. The Rodann’s passive infrared motion detector has a range of 50 feet (the longest of the PIR detectors on this list). The transmission range between the sensor and the receiver is only 1,000 feet, so this one might work best when placed closer to the house rather than at the very end of the driveway. Its most unique feature is the LCD counter on the receiver, which keeps track of how many entities it’s detected until it’s reset to zero. This could be useful if you run a business from home or if you’re actively trying to catch a trespasser but aren’t home all the time to hear the alert chime. Priced about $30 lower than the Guardline kit, the Rodann is also expandable with additional sensors but has only a one-year equipment warranty. 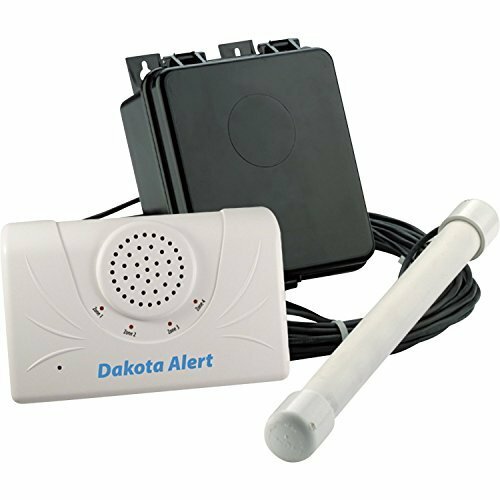 If you have a large property and want to detect just vehicles and not pedestrians or animals, go with the Dakota Alert kit. It’s a probe-style motion detector that senses vibrations in the ground produced by heavy metal objects—even motorcycles and ATVs—as long as they drive close enough to the sensor. This model also comes with 50 feet of burial wire, making it ideal for particularly large properties. This allows you to run the wire underground to a tree or post so you can adequately conceal the transmitter, and it gives you a much longer transmission reception distance. The Dakota Alert is about three times the price of the Mighty Mule, our other probe-style sensor recommendation, but if you have a lot of space between the end of your driveway and your home, this one is worth it. 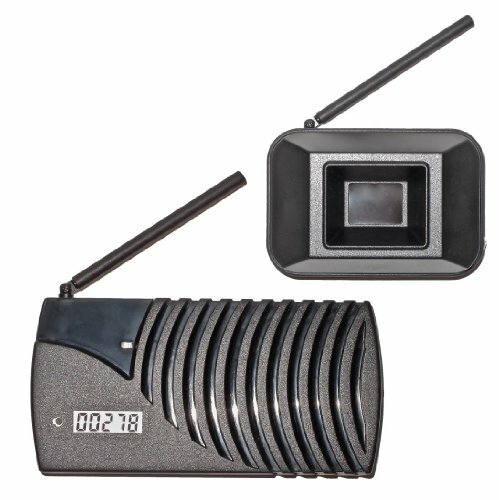 If you’re looking to monitor your property with both electromagnetic probes and with passive infrared motion detectors, Dakota also makes PIR sensors that can connect to the same receivers as the probes. 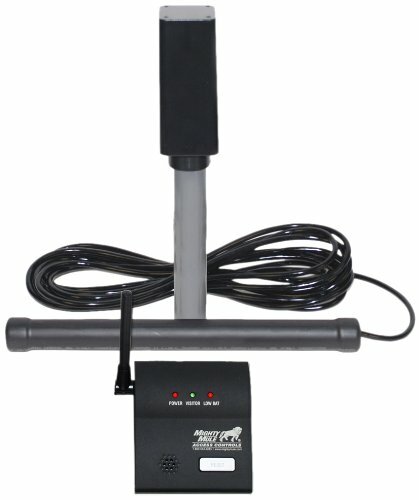 This Mighty Mule probe-style driveway alarm is a relatively low-cost option for those who want to detect only vehicles entering their property and not people or animals. The buried cable between the sensor and the transmitter is only 10 feet long, so this is only an option if you plan on setting up the transmitter fairly close to the sensor. If you need something longer, go with the Dakota kit. Driveway alarms usually consist of two main parts—a sensor and a receiver. The sensor is installed at the boundary you want to protect, such as the end of a driveway or the perimeter of a property. The receiver picks up the signal transmitted by the sensor and sounds an alarm somewhere in your house—most people keep their receivers in the kitchen, living room, or home office. In our chart and reviews, detection range refers to the maximum distance from the sensor an object can be to be picked up by the sensor. Transmission range refers to the maximum distance the receiver can be from the sensor to register its signal. Note that these distances are for ideal conditions, without obstructions. Uneven terrain, trees, shrubs, and walls can significantly shorten the transmission distance. Though there are a few other styles on the market, the two motion sensor styles represented on this list are passive infrared and probe. Passive infrared motion detectors look for different heat patterns, making them useful for detecting cars, humans, and larger animals. They’re installed one to three feet above the ground with the line of sight pointed across the space where you expect motion—so across the end of a driveway, for example. Probe motion detectors are buried in the ground and detect metal and vibrations. This makes them ideal for someone who only wants to detect motor vehicles entering a space and not animals or humans entering on foot. Installation of probe-style sensors is more complicated than that of PIR sensors. Any probe-style kit will come with instructions specific to the product, but here’s a peek into what the process looks like. Instead of just a sensor and receiver, these kits include three main parts: a sensor (probe), a transmitter, and a receiver. The sensor is buried next to the driveway and connected via a weatherproof cable to the transmitter. When the probe detects a metal object moving over its range, the transmitter broadcasts a signal to the receiver inside the house. To avoid interference and false signals, the probe should be placed at least 25 feet from roadways, neighbors’ driveways, or moving metal objects (such as gates). A driveway alarm won’t home fully protect your home against trespassers. For maximum security, you’ll want to use a driveway alert system along with a full home security system. None of the devices on this list (or any others we’ve found) are Z-Wave or Zigbee compatible, either. With a little Googling, you can find plenty of folks who have developed hacks to create smart driveway alarms, but they always involve multiple pieces of equipment and quite a bit of fiddling. There aren’t yet any dedicated driveway alert systems that will play easily with your home automation system or send alerts to your smartphone. 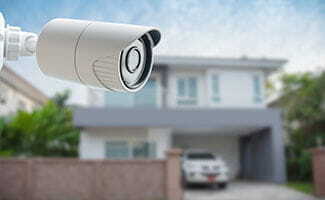 A driveway alarm is most effective when it’s used in conjunction with an outdoor security camera—click here to read about our top security camera recommendations. Depending on the type of camera you get, you could have it broadcast a live stream to a CCTV, online web portal, or mobile device, or you could have it save video clips whenever the camera and alarm are triggered. In the future, we’d like to see a driveway alarm that can be connected to a full home security system, especially one that directly corresponds with your security camera and can send alerts to your smartphone when you’re not home. Though the technology hasn’t yet evolved to meet the world of smart home security, a driveway alert system can still be a useful local alarm to let you know when someone or something is coming up your driveway. Whether you go with a passive infrared alarm to detect everything that moves or an electromagnetic probe to just catch the cars, you should be able to find something that meets your property size and your needs. Have you used any of these driveway alarms? Tell us about your experience in the comments.